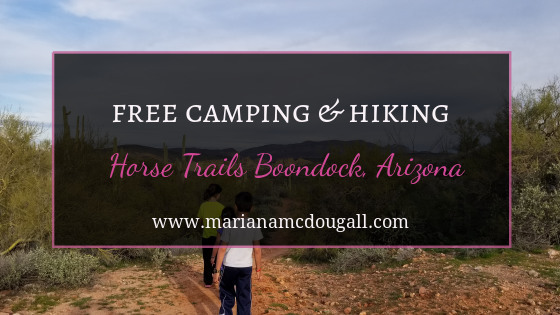 On our way to Tonto National Forest, we make a stop at a free camping location—Horse Trails Boondock in Arizona. There are a number of RVs and a couple of tents there, but there’s still plenty of room for us. It’s a nice place to stay for the night, but it’s sad that in the middle of a wilderness like this, you can’t see too many stars. The lights from Phoenix are too close. This trips has been delightful, for the most part, but travelling isn’t always sunshine and roses. From the beach litterbugs, to scary campgrounds, to people who apparently don’t like children, we’ve had a few downers on the trip. At the boondocking place, the children run up and down a small hill and squeal in delight. A man who had made a fire pit well away from the top of the small hill lets us know to keep the children away from it, because “he doesn’t want them to get hurt.” But it’s obvious from the way he says it, that he’s more afraid they’ll hurt it. Another guy blasts music well into the wee hours of the morning. In the same camping spot, a lady thinks it’s no big deal to dump her gray tank directly on the ground. Well, at least it was only the gray tank. Still. It’s behaviour like this that gets RVers banned from places. But all’s not sad. We meet a lovely lady named Martha, who has been travelling full time with her dog and cat in a renovated, vintage travel trailer. We talk for a while, and she allows the children to pet and play with her little dog. Martha is a kind soul, and we feel comfortable enough with one another to say goodbye with a hug when we leave. In the morning, we get to see the horses and mules leaving for the trails. Unfortunately, horse poop bags are a foreign concept to all these people, so when we go hiking, the trail is full of horse poop. We just watch where we step, and the gorgeous views make up for the inconvenience. The mountains are beautiful enough, but the sky puts on a gorgeous display, too. 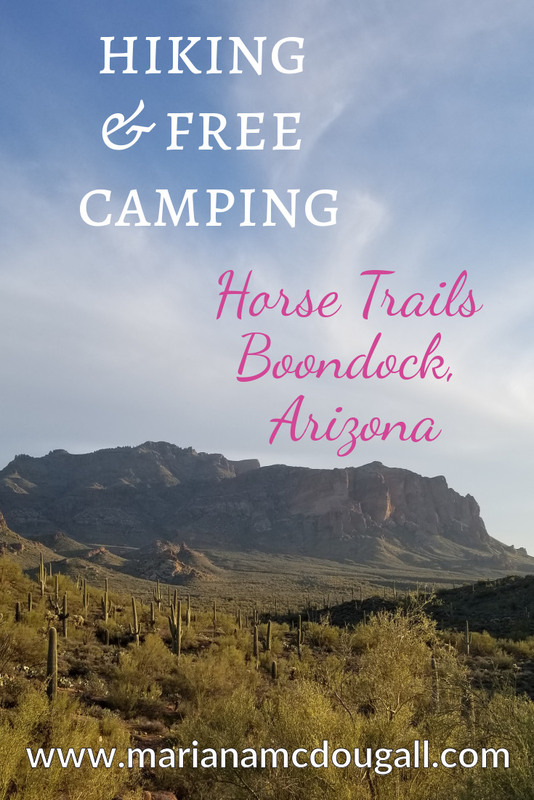 Hiking and dry camping overnight are free at Horse Trails Boondock, but as with everything that’s free, you’ll have good and bad people making use of the facilities. For us, the trail and a new friend made up for the unfortunate experience with the other campers. And, just like everything else in life, you can choose to concentrate on the bad things or the good ones. We’ll be looking at these photos and choosing to remember the amazing views from the trail.